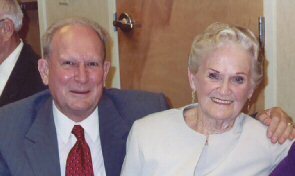 Born August 3rd 1920, son of Frank & Helen (Zenner) Brug, I had two brothers and two sisters. 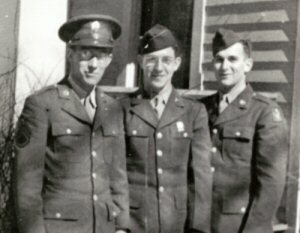 Both my brothers also served in WWII. S.Sgt. Robert served in the Phililppines. Pvt. 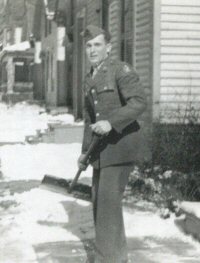 Paul was killed at the battle of the Bulge in Europe on January 4th 1945. I graduated from high school in 1940 and worked as a Wood-Patternmaker apprentice 1940 to 1942. August 1942 I enlisted in the Army and assigned to the Air Force. I was sent to various technical schools for training, Amarillo Tx. B-17 Aircraft maintainance, graduated 1-18-43. then to Douglas aircraftplant in Long Beach California for further training on B-17 graduated 2-23-43. Later in 1943 transferred to Kansas and serviced B-24 that were in transit to the European theater. Early 1944 sent to Wright engine plant in New Jersey for training on the R-3350 engine, graduated 7-13-44, then on to Salins KS. on B-29 training. Left Salina late December 1944, arrived Guam February 1945. left Guam about October 1945 discharged December 1945 arrived home on New Years Eve. After returning home at Buffalo, N.Y. I finished my apprentaship in Patternmaking. Married my wife Jean September 1950. We raised eight children, five boys and three girls. My wife Jean died August 1993. We were blessed with 19 grandchildren. Owned a set of golf clubs and enjoyed chasing the little white ball. I hit them short and often if you know what I mean. Was active in the Catholic Church at various levels, I still enjoy bowling, active many years in scouting. July 4th 2001 married a second time to a lovely woman named Norma. Both of us had a beautiful first marriage and are now enjoying a second marriage. our traveling consists of visiting our extended families. We love traveling by train when we can.